Special Day Ireland: The Diamond Collection includes contemporary teenage, bridesmaid and flower girl dresses ranging in sizes from UK 6 to UK 36. If you’re heading to The Harrogate Bridal Show, catch this gorgeous brand on stand Q8. Register to The Harrogate Bridal Show here. 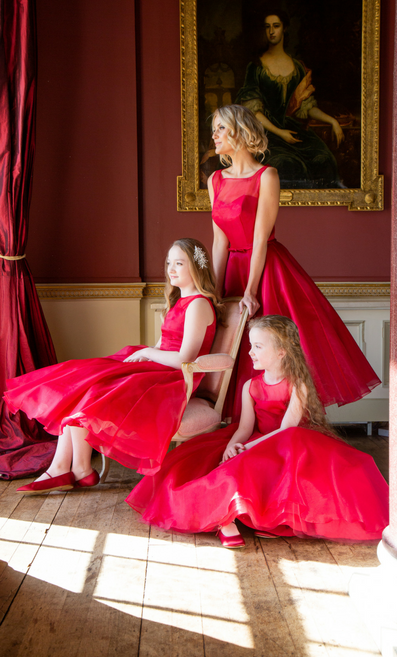 This varied collection has gowns available in over 80 different colours and a range of fabrics including chiffon, satin, lace, Mikado and tulles. Read more: Special Day Ireland: Claddagh Collection. The styles in The Diamond Collection range from slim A-line silhouettes to 50s inspired tea-length dresses, and all can be given extra length and other adjustments upon request. Contact Special Day Ireland here.